Based on the Spanish epic poem, El Cantar de Mio Cid, and the anonymous Latin prose Historia Roderici, this film explores the life of the Castilian legend, Rodrigo Díaz de Vivar, during a period of violent and divisive conflicts between Christians and Muslims in Spain during the eleventh century. Directed by Anthony Mann, whose most notable works were film noirs and westerns, El Cid is one of two epic movies he directed, released in 1961. 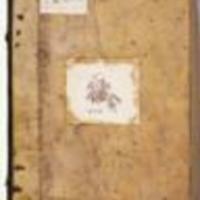 El Cid is about the legendary life of Rodrigo Díaz (1048-1099), a Castilian nobleman and Spanish hero. The film is based on the Chronicle of the Cid, the Latin prose work Historia Roderici, and the epic poem El Cantar de Mio Cid, which were all composed by various unknown authors in the centuries following Rodrigo Díaz’s death in 1099. The film is a work of pure medievalism, capturing the romantic ideals of chivalry that Rodrigo (Charlton Heston) exemplifies throughout the course of the film, in service to Spanish royalty and the Spanish people, for whom he has no reservations fighting (Aberth, 82). Diaz’s wife, Donã Ximena (Sophia Loren) exerts her own influence over Rodrigo Diaz through romance and her prestige within the court. The film takes place during the eleventh century, during a period of political unrest in Spain, as various Moorish and Christian kingdoms are embroiled in wars of conquest. The North African emirs, who constantly meddle in Spanish affairs by sowing unrest and paying Moorish kingdoms to raid Christian settlements, want to conquer the Christian kingdoms and establish a united Islamic kingdom on the Iberian Peninsula. King Ferdinand dies in 1065 and splits his kingdom into three for his children, which causes political turmoil. One aspect of this turmoil is played out in Rodrigo Díaz’s decision about his political support. By tracing Diaz’s allegiance to various Christian kings and Muslim emirs, serving as a military leader for both religious groups in campaigns across the Iberian Peninsula, and the interactions he has with his wife, the film presents a nationalistic vision about religious and aristocratic relations in Spain, as well as the role of noble women in the eleventh century. In the opening scene of El Cid, Rodrigo is travelling to his own wedding when his route leads him through a Christian settlement being attacked by Moors. After the battle ends, Rodrigo emerges unscathed and takes many Moorish soldiers and emirs prisoner in the process, proving himself on the battlefield as an excellent warrior. When demanded to turn the prisoners over to King Ferdinand, however, Rodrigo refuses and decides to set them free asking them for their loyalty and to swear fealty to King Ferdinand in return. For this noble act, and sparing the lives of powerful men, the emirs agree and give Rodrigo the name “El Cid,” which translates to “The Lord,” which is a significant accolade given that the animosity between the Muslim and Christian world is so potent throughout the film; so much so, that King Ferdinand charges Rodrigo with treason and calls him to the capital to answer for this transgression. The charge is later dropped after Rodrigo defeats the king’s champion, who happened to be Dõna Ximena’s father, the woman to whom he is betrothed, laying the foundation for the gender conflict in the film. In these early trials, Rodrigo strives to act in accordance to a chivalric code, bringing honor to his own family name as well as those he serves, while maintaining a degree of justice and mercy for his enemies. In the second act of the movie, Rodrigo is scrutinized by members of the Christian noble court because of his relationships to Muslim emirs and success in the field against Christian forces, which becomes the subject of controversy, leading to his exile by King Ferdinand’s eldest son, Prince Alfonso (John Fraser). Rodrigo was exiled because, according to Alfonso, he did not uphold his oath to the Spanish crown, or any of the late King Ferdinand’s children, because Rodrigo decided that by swearing fealty to any one of them would break his vow to the others. There is a constant personal conflict that Rodrigo faces throughout the film in relation to his own morals, but it earns him the respect of thousands of other exiled oppressed Spaniards, who call upon him to lead them in the wars against the Christian and Moorish kingdoms that turned them away. The religious and ethnic divide that is present in the film is central to the film’s portrayal of Rodrigo Díaz. Rodrigo, who is a Christian, believes that by perpetuating the animosity between Muslims and Christians in Spain would only aggravate the ongoing wars on the peninsula and prevent any form of peace from ever being formed. The primary political dilemma throughout the film, which is made abundantly clear by the recurring scenes in which North African emirs plan an invasion of Spain and eventually execute said plans, is because of the historic religious clashes between Muslims and Christians. Rodrigo, who recognizes this vicious cycle, aims to combat it within the opening scene of the film when he spares the lives of captured Moorish emirs, against the orders of King Ferdinand, and recruits them to be his own vassals. Rodrigo Díaz’s ideals earned him the title “El Cid” because he exudes noble traits and characteristics, despite religious affiliation. 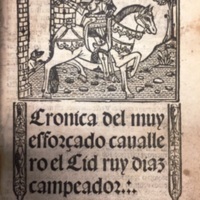 Throughout El Cantar de Mio Cid, the authors never cease to emphasize Diaz’s Christianity, but even in the primary sources that provide context for the film, Rodrigo’s political and military actions are kept entirely secular (Linehan, 29). Although Diaz’s primary enemy is the Almoravids, he aligns himself with numerous Muslim and Christian leaders in order to combat this foreign threat, painting him as more of a noble and nationalistic knight than a crusader (Aberth, 130). One of the emirs that Rodrigo set free, however, would later betray him, and like all the other Moorish and North Africans represented in the film, they are depicted as devious, calculating, and violent people who want to exterminate the Christian population of Spain in order to open a floodgate allowing for the conquest of the rest of Europe. In terms of gender roles, Rodrigo’s wife, Ximena, is the sole female authority in the film in contact with the legendary hero. Earlier in the film, when Rodrigo kills Ximena’s father, she curses herself for being a woman because being a woman, according to her and her father, made her too weak to exact revenge. Although she tries to have him killed, she fails in her attempts, and eventually falls back in love with him after he is exiled, eventually and voluntarily joining him. Ximena consistently plays a secondary role in the movie and never exerts power or authority over any of the male characters, except for the one suitor she convinces to betray Rodrigo. 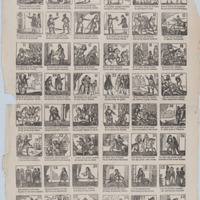 The film depicts Ximena as weak willed, fickle, and powerless relative to Rodrigo. The only other female character who is present in the film, Princess Donã Urraca (Geneviève Page), is not able to exert any authority over her brothers, and during the division of the kingdom is virtually forgotten and ignored in the process. The focus of the film is its nationalistic message, and women play secondary roles in this narrative, as the story highlights traditional gender roles for women. The film is seemingly arguing that women should stick to domestic issues and not meddle in politics, for it only causes problems, as seen in the numerous attempts by Ximena to kill Diaz, her own husband (Aberth, 133). 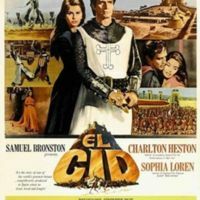 The film El Cid is an excellent example of medievalism portrayed in movies. The epic poem celebrates the chivalric and heroic actions of Rodrigo Díaz, not only as one of the most successful military leaders in the region, but also as a moral example for the nobility in dealing with allies and adversaries. Mann did an excellent job of setting the film in medieval Spain by filming it in various Spanish locations to portray Rodrigo’s eleventh-century world in Vivar, as well as other significant places such as Torrelobatón, Calahorra, and Valencia. Morley, Henry. “Chronicle of the Cid.” Translated by Robert Southey, Chronicle of the Cid, The Project Gutenberg EBook, 5 Oct. 2017, www.gutenberg.org/cache/epub/8491/pg8491-images.html. Linehan, Peter. "The Cid of History and the History of the Cid." History Today 37 (Sept. 1987): 26-32. Bacon. University of California Press, 1919.